As indicated by the BEIS consultation, the next phase of ECO is going to focus on HHCRO. 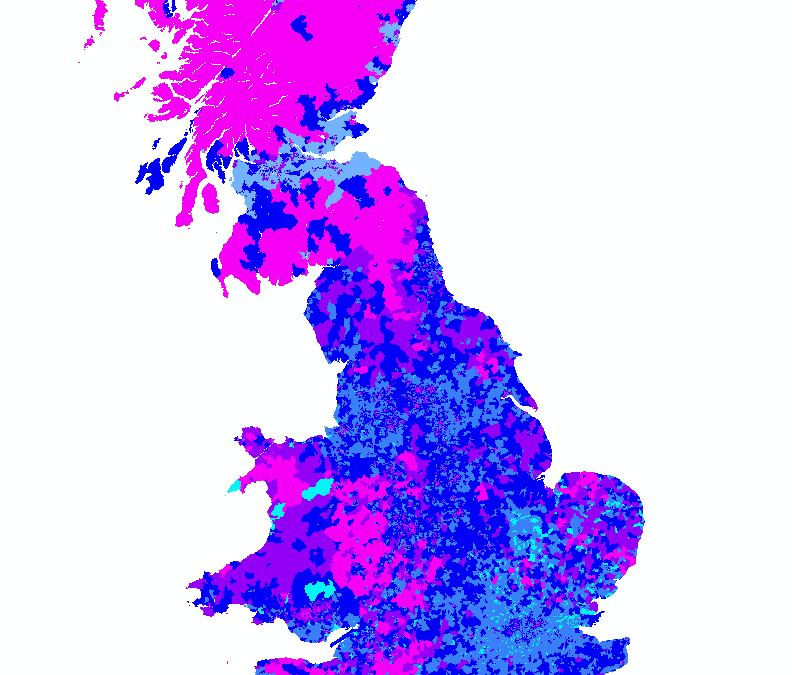 We are developing the DEEM Tool – a web-based Domestic Energy Efficiency Mapping Tool that will assist ECO stakeholders in understanding the intensity of fuel poverty and status of domestic energy efficiency at LSOA and census data zones. The DEEM Tool is a visual representation of various layers of datasets overlapped to show dwelling types, tenure types, central heating system, household composition, access to mains gas, EPC ratings, and intensity of fuel poverty. The next version of the DEEM Tool will also show density of ECO installations in a particular area. The non-gas map from BEIS has done a great job in providing a macro level analysis by compiling various datasets. Our DEEM Tool is taking things one step further to provide a granular analysis of the situation on ground. The objective is to assist individuals, local authorities and installers and obligated supplier to understand these multi-layer data and make them more useful. The example presented here is a sample application demonstrating some of the features based on the analysis of various data available for Aylesbury in England. The data layers included are fuel poverty percentage, rural postcodes, off-gas postcodes, EPC ratings, and household and property compositions. Aylesbury has a total of 5,708 postcodes. EPCs are available for 4,526 (80%) of theses postcodes, of which 1,313 postcodes have dwellings with E, F or G SAP rating. There are 3,181 rural postcodes and 1,884 postcode off-gas grid in Aylesbury.